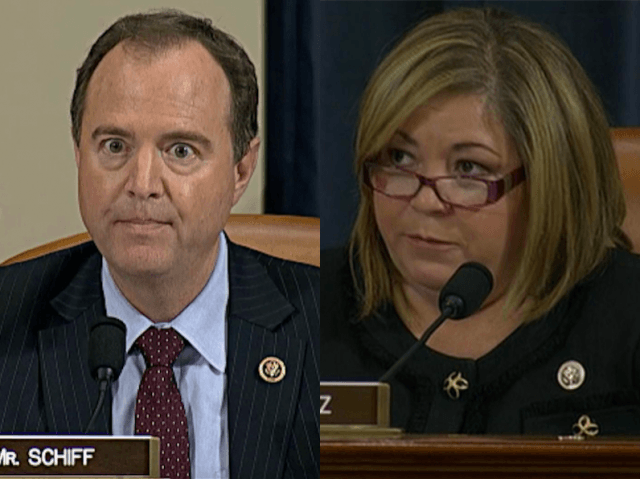 California Democrats Rep. Adam Schiff (CA-28) and Rep. Linda Sanchez (D-28) did their best–or worst–to cover for former Secretary of State Hillary Clinton as she testified on Thursday at the House Benghazi Select Committee. Neither Schiff nor Sanchez showed any interest in finding out the truth about why four Americans died on Sep. 11, 2012. Instead, they ran interference, floating bizarre conspiracy theories and accusing Republicans of partisanship. Schiff, who is the ranking member on the House Intelligence Committee, floated a crackpot theory that the GOP is trying to prove that Clinton “interfered” with security arrangements in Benghazi. In fact, what Republicans suspect, and what was shownn on Thursday, is that Clinton neglected security there. As Rep. Lynn Westmoreland (R-GA) pointed out, Clinton’s “friend” Ambassador Chris Stevens did not have her personal email address, but her crony Sid Blumenthal, who was providing informal advice and angling for business favors, wrote to Clinton constantly. In addition, Schiff repeated Democrats’ talking point that there had been seven previous investigations already. 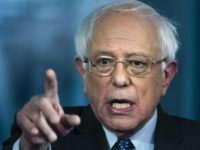 What he surely knew, but failed to note, is that Clinton and the State Department had stonewalled each one, both by hiding Clinton’s emails–which are damning–and by failing to make Clinton herself available for questioning. At one point, after the first round of questioning, Schiff joined Rep. Elijah Cummings (D-MD) in a grandstanding performance demanding that committee chair Rep. Trey Gowdy (R-SC) release the full transcript of Blumenthal’s testimony be published so that he would have a chance to give the “context of those emails” that the public had already seen. Gowdy countered that the Democrats had refused to allow all witness testimony to be released. Sanchez accused Republicans of having unreasonable expectations of security in Benghazi, demanding the “total elimination of risk.” In response, Clinton actually said that Stevens “understood the risks” of his diplomatic post–as if he were to blame for his own death, which came after his requests for more protection were denied or ignored. Later in the evening, Sanchez played the role of unofficial timekeeper, demanding Gowdy cut questioning short. 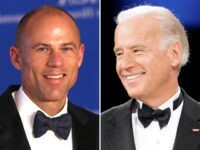 Christine Mai-Due of the Los Angeles Times notes that the committee hearing was a rare chance for the two Democrats to enjoy the national spotlight. “Schiff and Sanchez being aggressive at the Benghazi hearings can give them more coverage this week than they might get all year,” she quoted one Democratic strategist as saying. That is true–though it also allowed the public to see that Schiff and Sanchez place party loyalty before the national interest.